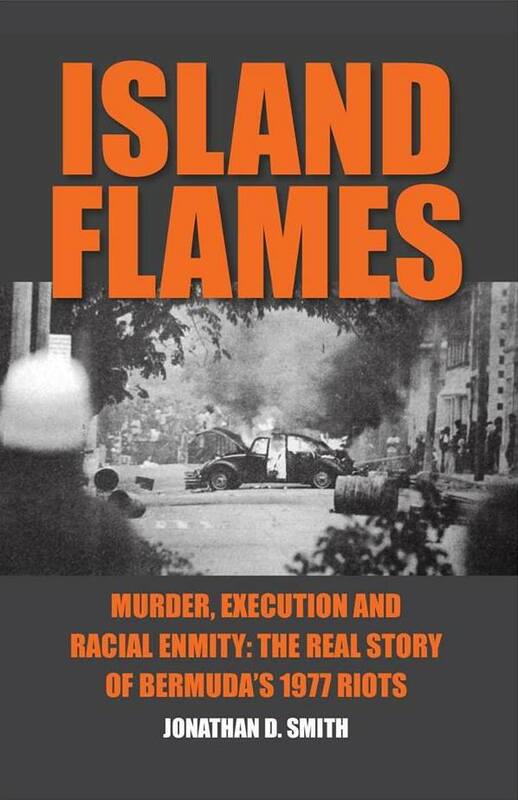 The book launch for “Island Flames” — which provides an in-depth look at the circumstances surrounding the 1977 riots — was held last night [Oct 21] at the Bookmart at Brown & Co., with the 360-page book now available for sale. Part proceeds from the book, which was written by former Commissioner of Police and Senator Jonathan D Smith, will be donated to programmes which specifically promote reading among the school aged population in Bermuda. “Island Flames,” is a hard-back edition, 360 pages in length, indexed with more than 1,000 references and 44 photographs of the 1965, 1968 and 1977 riots – many of them never-before published. The book has already been accepted in the prestigious Oxford University Library system as part of their book collection on social studies on race and resistance in the Caribbean and Bermuda. This is the second major non-fiction book completed by Mr Smith, with his first book, “In the Hour of Victory,” a true story of Major AF ‘Toby’ Smith’s WWII experiences and death in battle, published in 2011. The documentary film version of the book won major awards at international film festivals in the UK and USA in 2013. Further details on the book are available on www.islandflames.com. What ever happened to the book Acel’dama?? ?